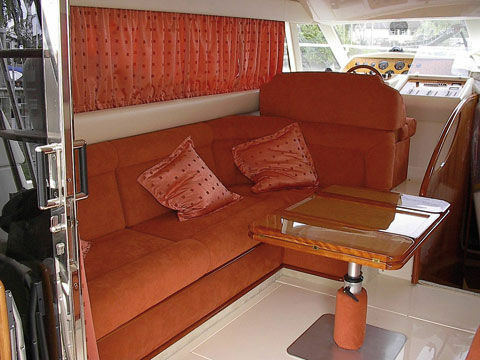 Feel at home on your yacht! 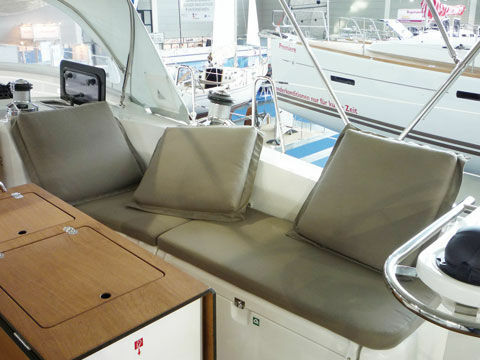 Handmade products of NAUTI SATTLER create a pleasant and individual atmosphere. Whatever you wish, there will be no limits in fulfilling your expectations. In the exterior as well as in the inside area we use only materials which meet the highest quality demands. Regarding the cushion covers in the inside area you choose among the most current fabric collections. Thereby our offer ranges from the rustling-velour, Designer-fabrics, Alcantara and special-equipped microfabrics up to high-quality genuine leather. 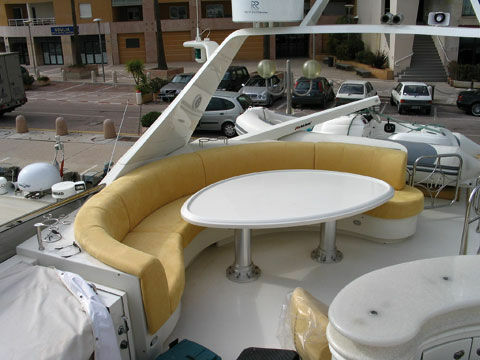 For the exterior cushions we use synthetic covers, foam imitation leathers, acrylic materials as well as specially equipped genuine leather. Your wishes will turn into reality, no matter what they are: cushions with tucks, pipes quilted, covered or filed away and many further things – we will be pleased to advise you.